Garden Design is what we do… we will see your Thai Landscaping project right through from start to finish. Large or small, whether it is your Thai garden at home, or if you are developing gardens for a Thai resort or hotel complex. Our work portfolio includes projects with large universities, temples, public gardens, council buildings, highways and local business. If you have a landscaping project in Thailand, look no further, we can offer you total reliability and complete job satisfaction every time, contact us, so we can help you to achieve your desired goals. Prior to any build, we recommend a garden consultation, where we will visit the property and advise on best practice and listen to the ‘wish list’. From here we can offer you our garden design service, as well as offer free estimates on any of the work required. Thai Garden Design has it’s own extensive nursery stock of plants and trees, so in most cases we will supply these directly. 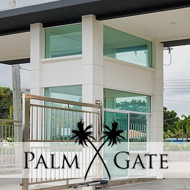 We also have links with many of Thailand‘s top landscaping and construction suppliers, so we are able to source hard-to-find, exotic gardening and landscape materials throughout Thailand. If you want it included in your garden, just say! Our landscaping and design team consists of construction, engineering and landscaping professionals who have been innovating and building various landscaping projects throughout Asia for over 20 years. They will be able to assist you with any project related enquiries you may have.